It was twenty years ago today... not when Sgt Pepper taught the band the play, no, that was much earlier... when GAME OF THRONES was first published. August, 1996. That was when the big glossy hardcover with the silver foil cover first hit the bookstores (though some comp copies had been handed out earlier at the ABA in Chicago). But my oh my, things have changed a bit in these last twenty years. My crowds are larger now (though, sadly, I can no longer chat for five or ten minutes with every customer). The novels appear on every bestseller list in the country, and most of those in the UK and the rest of the world as well. There's a successful television show that you may have heard of, with record ratings, record piracy, and a record number of Emmy Awards. There are games, miniatures, slot machines, pinball machines, cosplayers, dolls, action figures, coins, t-shirts, graphic novels, translations in more than forty languages. It has been a helluva twenty years, twenty years that have transformed my life and career, twenty years during which the novel has never been out of print. And something like that has to be commemorated. So... well, let me quote the official announcement from my friends at Bantam Spectra. 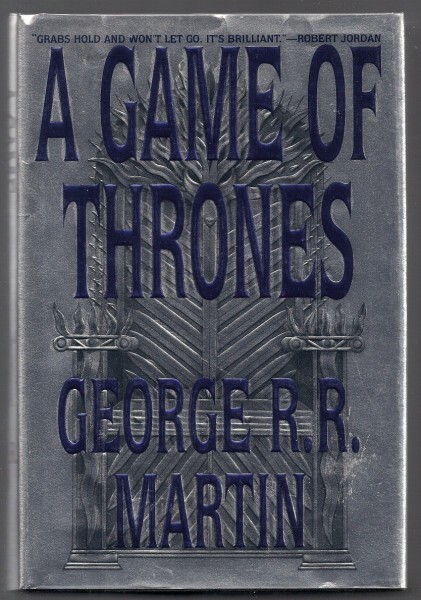 "First published on August 1st, 1996, A Game of Thrones marks its twentieth anniversary today. 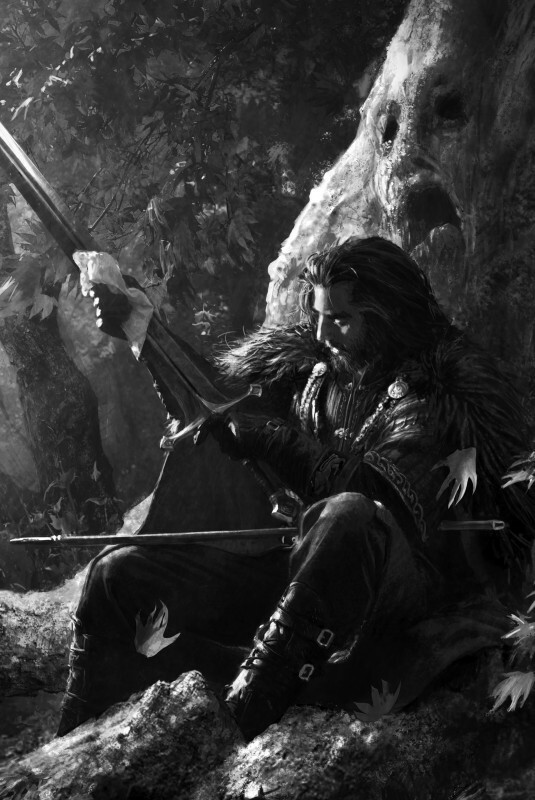 In celebration of the fantasy masterpiece that started a cultural phenomenon, we’re excited to announce the publication of a special illustrated edition." An anniversary like this requires something special, something more than just a reprint and a new novel. This new edition will be very special, I think. Same story, of course. But we've added an introduction by the World Famous Nebula Toastmaster John Hodgman... and a truly astonishing amount of artwork... a total of seventy-three (73) black and white interior illustrations, and eight (8) spectacular full color plates. 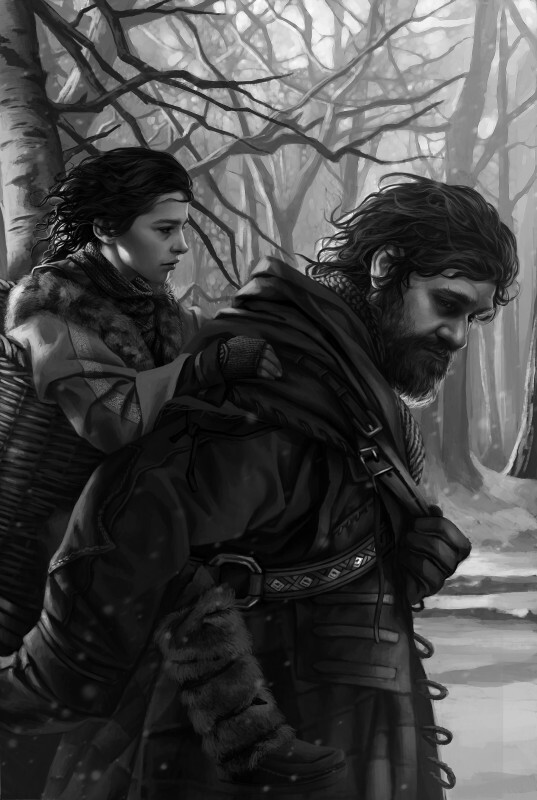 Some of the artwork is drawn from the Ice & Fire calendars, from The World of Ice and Fire, and from the card and board games and RPGs... but forty-eight (48) of these pieces are completely new, never-before-seen artwork. Bantam says, "With gorgeous full-page illustrations to open every chapter, the mystery, intrigue, romance, and adventure of this magnificent saga come to life as never before." Here's a sample of some of the art we'll be including: one old piece, one new one. 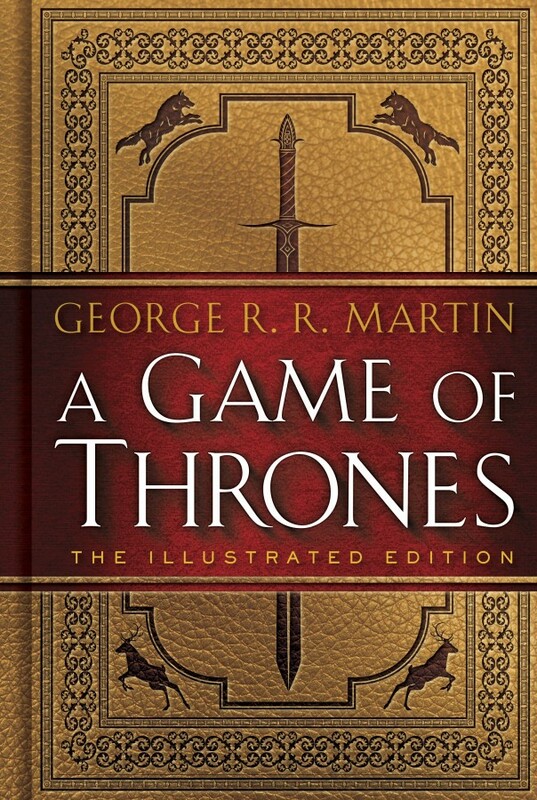 A Game of Thrones: The Illustrated Edition goes on sale October 18, 2016. And no, before someone asks, I had no idea when this all started where it would lead... or how long the road would be. That picture of me up above was taken in 1995 in Scotland, after I'd signed the contracts for the first three books but before I'd delivered any of them. Back then, I'd thought the whole story could be told in three books, and that it would take me three years to write them, a year per book. That picture was taken just a few weeks after I blew my first (bot not my last, oh no) deadline on the series. Ah, how innocent I was... little did that guy in the picture imagine that he would be spending most of the next two decades in the Seven Kingdoms of Westeros with Tyrion, Daenerys, Arya, Sansa, Jon Snow, Bran, and all the rest. But here I am, twenty years later... still working on book six... ((and no, sorry, I have no announcement to make on that front)). It`s only been a little bit more than 1 year since I travelled to Westeros. But it`s been awesome. And more to come. This looks spectacular. Surely I'm getting myself a copy. Um...this is your Arabic translator writing. I'm about done with "A Clash of Kings," and I keep asking myself, "How does he do it?" It's such a treat to recount your tale in such a rich language. It's as if the text was created to be translated into Arabic. And it made my kinda famous! Thanks for this. Congratulations!!! You are genuinely an inspiration, and it couldn't happen to a more talented, more insightful writer. I really want that new Illustrated Edition of AGOT, and since it goes on sale a few days after my birthday I guess it would be a great gift from me to me. I hope you're doing great Mr. Martin, I'm eagerly waiting for that book you're working on. Thank you for all of your work and giving us all an amazing story! Massive congradulations! I have been re-reading and finished book 3 last night at 23.58. I knew I wanted to finish before August 1st but I never knew why, consciously, why the date was important. May I ask where abouts in Scotland that photo is? It looks like Loch Ness? Congratulations on 20 years of fans hounding you for your next book! And thank you so much for never quitting when we really deserved it. Happy name day game of the thrones! Well I only have one thing to say: thank you. I can only speak for myself but Game of thrones is amazing. The books and the TV series have given me hours of entertainment ! And your other books have inspired me to write,you are truly an inspiration and you are my hero, who needs knights and dragons when your hero writes about them and everything else ? Thanks again ! The first part is very much truly held. Your imagination and creativity have really been a joy to, well, enjoy. The second part is truly held as well but... yes, I'll take my own advice. Fascinating journey it must have been, thank you for sharing this. As Steve Jobs once said, you can only connect the dots looking backwards. Here's to another 20 more years of magic and mystery! Is there good reason to believe the entire series will have such an extensive illustrated edition? Also one more question, albeit the fact that it would involve you giving a reluctant answer. I would assume your publishers would salivate at the idea of having this gorgeous book setup at the front of a Barnes&Noble sitting right next to TWOW. Also HBO would likely have the season 6 boxset next to them as well. Is there potential hope of TWOW being complete around the release of this illustrated edition? Cause I do think about how series fans will hear about book 6 coming out and they'll go to the store and look at the novel and realize it's a phone book and they'll immediately be intimidated. This illustrated version would alleviate that worry. Regardless of when WINDS comes out, this illustrated book looks amazing(and I will own it) and I already know the words in it our amazing. This is quite an anniversary to celebrate, enjoy it George. Congratulations George! This series has changed my life as well and I bid you good luck for the next 20!